Ben's one...that he accidentally took a shot of..
Maybe it's the black/white effect, the yellow highlight of the GMT hand and the up/down sub dial design. Also like the bezel , looks chunky. The hands look like the ones Bremont are going to use in the forth coming Martin Baker watches. An inspired look from cockpit instruments on modern jets? Interesting technology that, diamond bearings. Quite a premium on new prices too. I was looking at one of those a while ago Dave. The oil less bearings were an interesting feature, don't know how this has caught on if at all. Like the thought of something different though. The black/grey dial looks good as well. But I would have liked the GMT hand to be in yellow, gives it a lift I think? Very nice. I've been a fan since seeing Ben's at a GTG last year. He's now flipped it and I subsequently bought a 103 but the 757 is much nicer in the flesh imo. There were a few of us after that one. Lol! Despite a period of radio silence I am still alive - no more biplane crashes or parachute failures thankfully - and I have been watching all the great posts. I have made a list of threads to post and respond to and here is my first with pictures. 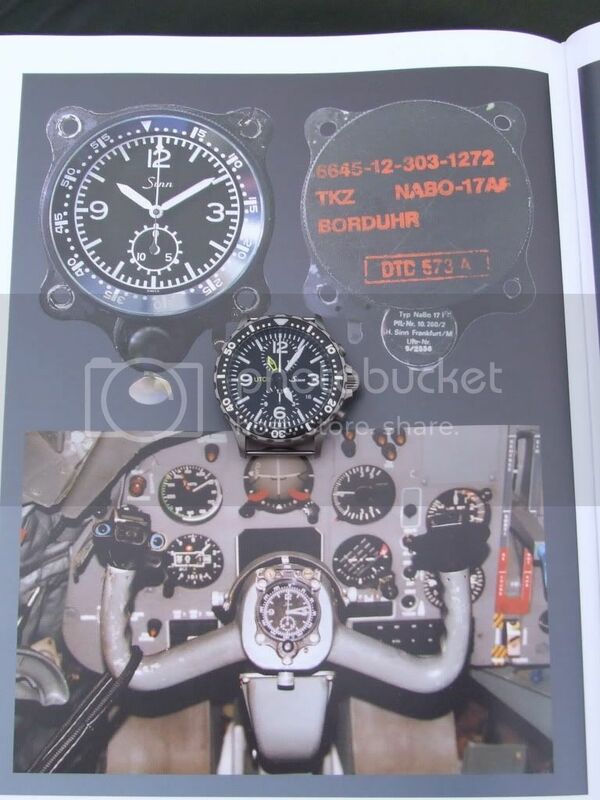 I think I have mentioned before that I bought the 757 UTC as a sort of EP 120 'beater' as it seemed to be the only other watch so closely inspired by aircraft clocks and made by a company with an aviation heritage - in fact, Sinn still make aircraft clocks. I also wanted something clearly legible, very tough and with a bezel which could be turned wearing gloves - it's cold in an open cockpit. I also needed the UTC function whilst abroad. I thought about the diapal but do not like that word on the dial and servicing did not sound easy. 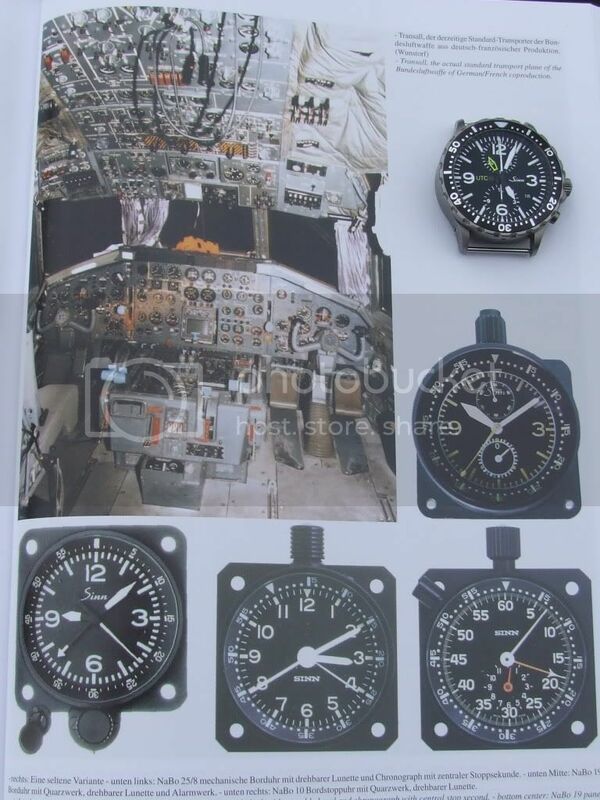 Below are some photos of the 757 on pages of Konrad Knirim's excellent books, which show the lineage of the watch from the early Junghans used in Me 109s through to the Sinn clocks used in the fabulous Starfighter and finally, the Tornado, before the Sinn mechanical clocks were replaced with electronics in the Eurofighter Typhoon. 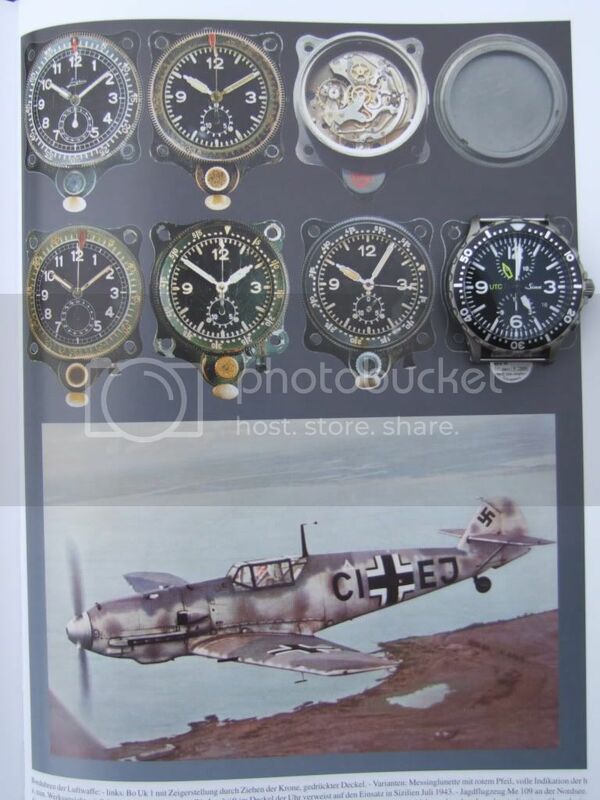 The Sinn clock bottom left below was used in the Bundesluftwaffe's Tornadoes and Alphajets. The next one shows a NaBo 17 in the centre of a control column in a Transall transport - there is a clock in both columns. 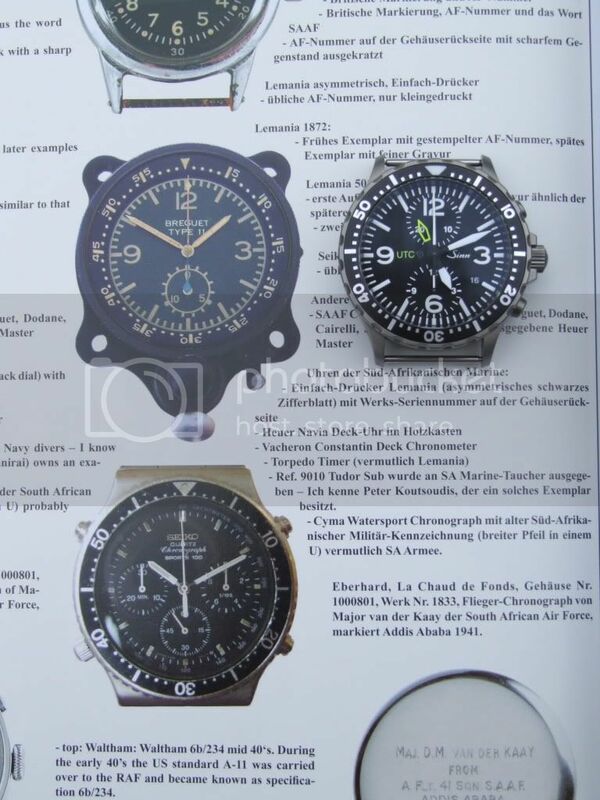 I picked this last picture because as well as the Breguet, the South African Air Force issue Seiko looks like Nemo's civilan one. It also has a bezel very similar to the Sinn 757. Last edited by StampeSV4; 25-08-2011 at 22:03. One last photo - this one shows the Transall cockpit with the Sinn NaBo clocks in the centre of the control columns. 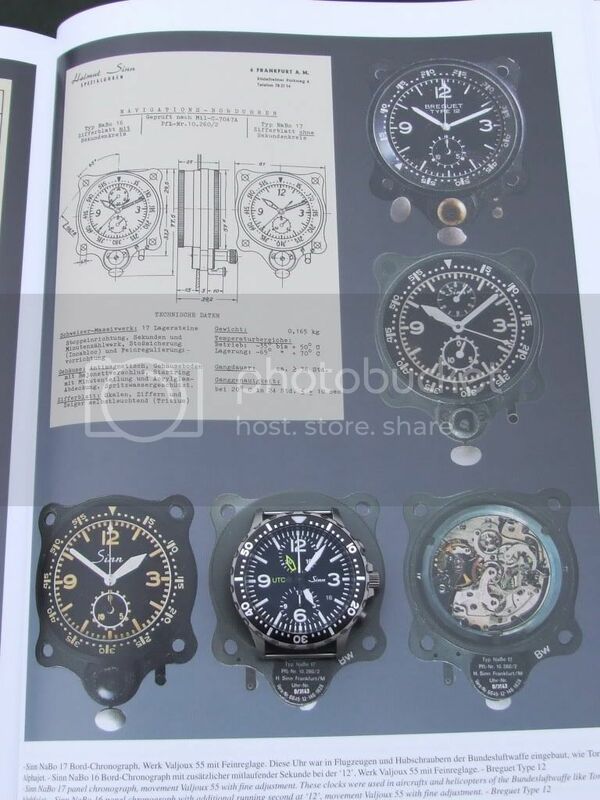 Again, you can see where the idea for the 757 dial and hands came from in the two mechanical clocks bottom left and top right. Last edited by StampeSV4; 25-08-2011 at 22:16. Very cool stuff. Thanks for posting that. I think I will be shopping for a Sinn. Especially liked the Seiko reference! That is my watch exactly. That thing survived a lot of Air Force training, even though it was the civilian version. Just beautiful. Reminds me of the Tudor Snowflake.